Flower Crowns, also known as halos, in recent years have been reserved for flower girls. Precious baby’s breath or light greenery halos with ribbon streamers adorned the heads of toddlers as they skip down the aisle preceding the bride at weddings all across the country. Fast forward to 2015 and the emergence of unstructured, lace-encrusted, sheath bridal gowns paired with long flowing messy hairstyles and you have the birth of the BoHo bride. It was just a matter of time until flower crowns made a comeback like peace signs in the 60’s. It is a trend that began on the laid-back west coast but has slowly made its way to Middle Tennessee. Our numerous outdoor venues of barns, fields, vineyards and gardens have visions of flower halos dancing in our bride’s heads. 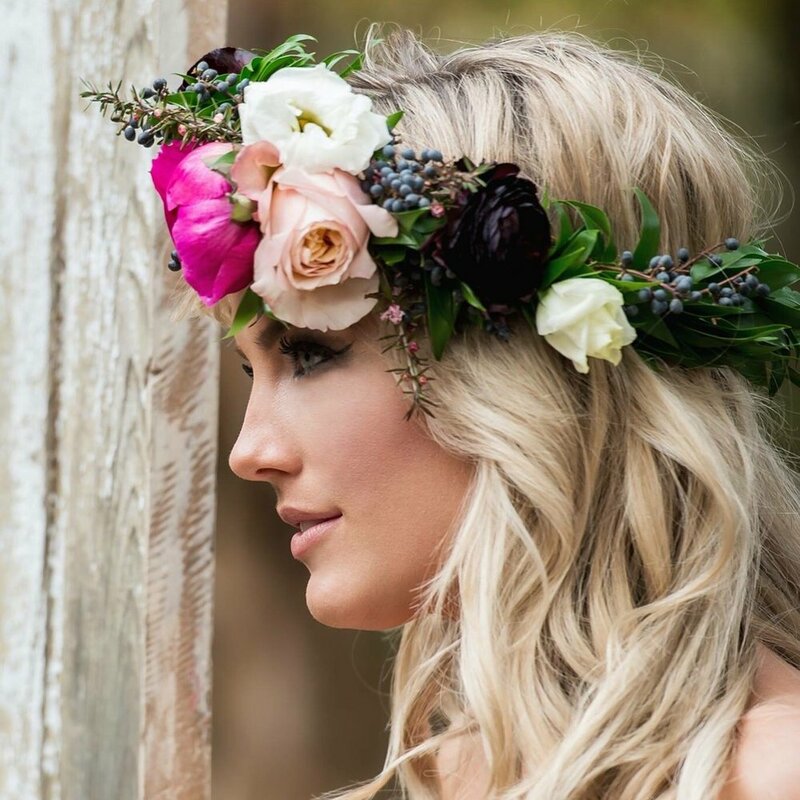 Lush greenery flower crowns, with large colorful blooms, adorn the heads of brides, some with veils, some without. Other times, bridesmaids will wear the flower halos instead of the bride. And, more often than not, there is still one tiny tot with a smocked frock sporting a baby’s breath halo atop her golden locks. So, if you are a bride that needs a flower crown… If you are a flower child at heart, or have one of those tiny tots with golden locks… this could be the look for you.